Once endangered, the Apache Trout (Arizona’s official state fish) was close to becoming extinct in the middle of the 20th century. However, through wise conservation and re-stocking effort, the apache trout has been allowed to flourish in the White Mountains of Arizona near Greer once again. 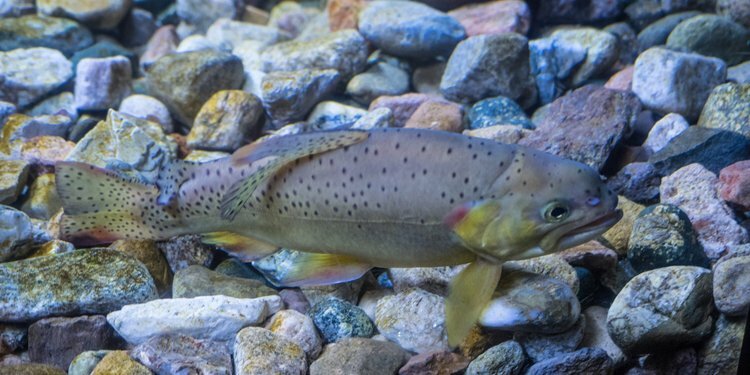 This unique trout is now set for another re-stocking as officials at Arizona Game and Fish Department seek to maintain a healthy equilibrium of this fish in the general population of rivers and waterways in the area. Beginning in May, 55,000 Apache Trout will be released into the wild, and plans are in motion for 200,000 eggs to be dispersed soon as well. Not only will this move help replenish the population of this species, but it will enable countless visitors in the area to catch this delightful fish this summer. Are you ready for an Arizona fly-fishing adventure? Fishing is a very popular outdoor activity in Greer, AZ, as comfortable weather and an abundance of streams and rivers make it a serene setting for the sport. Various species of trout are common in the waters here, including Brown, Rainbow, and of course, Apache Trout. While in Greer, be sure to check out the Lazy Trout store for worms, snacks, and drinks so you can make the most of your trip. Be sure to bring your fishing poles and equipment, as Greer Lodge actually stocks its own pond with trout for guests to enjoy catch-n-release only. Nevertheless, the surrounding area has over 630 miles of trout streams so take advantage of this re-stocking event so you can catch one of Arizona’s finest fish: Apache Trout!